Over 100 tourists from Paris, France spent an evening dining and receiving a 'grand tour' of the world's largest Chabad House, and its new construction complex in the heart of Rutgers University. 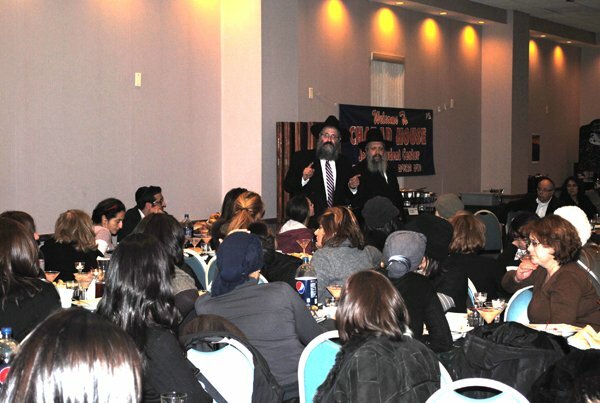 The French group was led by Rabbi Yosef Y. Pevzner, director of Chabad Sinai Schools in Paris. They had spent the weekend at 770 Eastern Parkway, the Lubavitch World Headquarters in Brooklyn, N.Y., commemorating the tenth of Shvat. This is the date of passing of the sixth Lubavitcher Rebbe, and marks the ascendancy to leadership of the Lubavitcher Rebbe, Rabbi Menachem M. Schneerson, in 1950. As they arrived with two motor coaches in New Jersey, they were greeted by the students of Rutgers University, including some girls who originated from France, but are now studying at Rutgers. After a hearty five-course dinner, served under the careful stewardship of Chef Chezky Adler, they received a tour of the Chabad House, its Women's Mikvah, and an extended tour of the soon-to-be finalized new complex of 55,000 square feet featuring a new Kosher Dining Hall, International Coffee House, new Kitchens, first-ever Sephardic Synagogue, and new dormitories for 72 men students. 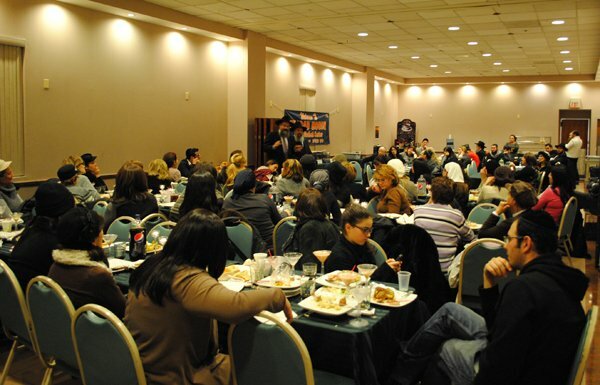 The group was addressed by the founder and director of Chabad House, Rabbi Yosef Carlebach, who recounted a miracle story with the Lubavitcher Rebbe, which took place in conjunction with the opening of the original Chabad complex on College Ave. in New Brunswick. The French crowd was delighted by its N.J. reception, and promised to include this evening highlight on all future tours.